In 1982, Joan Hull and John Phillips became the second family to own this historic landmark Victorian home (formerly the McMorry-Lagan residence). The charm of the house was irresistible with generously proportioned rooms, Carrera marble fireplaces with original over-mantels and rose brass chandeliers. 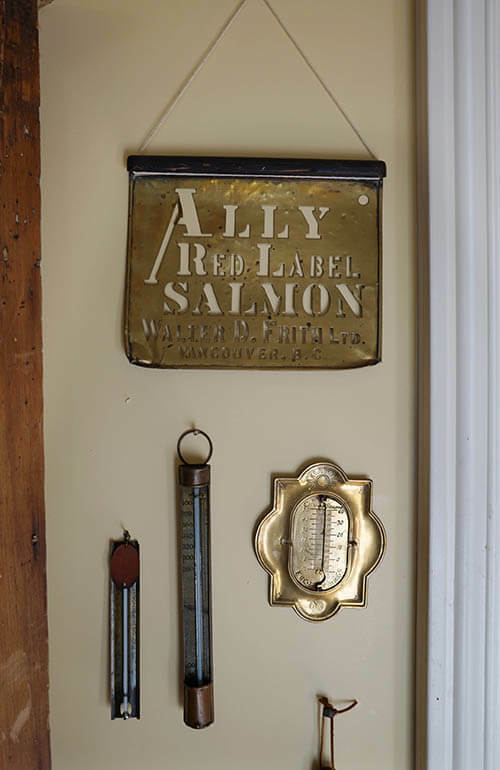 Over the years, they have gently coaxed the house into the 21st century adding bathrooms one by one, installing an elevator, and creating guest rooms with the charm of a more gracious era as well as modern amenities. 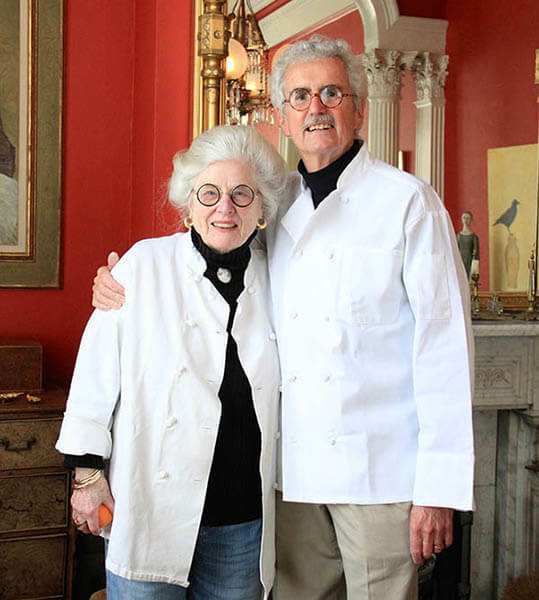 Since 1995 John and Joan have been welcoming travelers into their home and honing their skills as breakfast cooks and innkeepers. Click here to see information on our historic landmark status. Innkeepers Joan Hull and John Phillips are world travelers and passionate San Franciscans whose personal tips and love of their city will add a unique dimension to your San Francisco experience. Delicious, multi-course breakfasts are served each morning in the dining room. At the end of the day, returning guests are welcome to a tray of brandy and chocolates in the parlor. The Parsonage Inn is located at the corner of Haight and Laguna streets, a short walk from the Hayes Valley district of shops, 80+ restaurants, and major cultural attractions. We recommend coming from the San Francisco or Oakland airports by taxi, shuttle or BART. 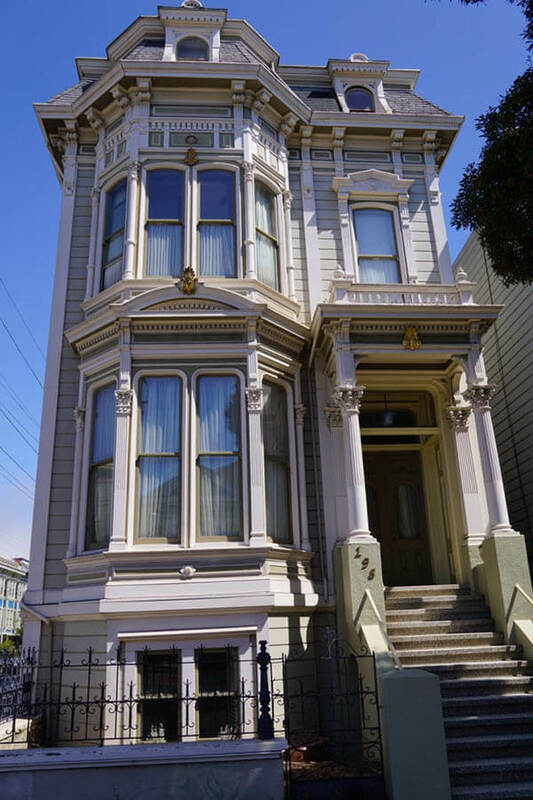 TThe Parsonage is located in a residential neighborhood tucked into the center of San Francisco. Parking is limited. If you can visit without a car your visit will be simplified. However, if you must have a car, the following is meant to assist you in understanding local parking conditions. Residents of the area have special identification on their cars so that they can park all day on the street without getting a parking ticket. During the day, visitors can park for a limited time on the street – depending on the signs – for 2-3 hours. The signs will guide you. Parking limitations begin at 8am. That means that you have two or three hours after 8am before you should move your car. Parking at night is not limited, and generally even though the street signs say that parking restrictions are in place until 8 or 9 PM, the traffic enforcement personnel tend not to be in this neighborhood at night to check on you after 6pm. There are two large covered parking garages in the neighborhood. They are about a 15 minute walk away. Visit the sites for the Performing Arts Garage and The Civic Center Garage. The F- market is an easy 2 block walk from The Parsonage. It is the best route to take you to Union Square, Moscone Center, The Ferry Building and Fisherman’s Wharf. Offer convenient and quick rides through out the city. Car rental agencies are conveniently located and some (National, Alamo, and Enterprise) are within walking distance of The Parsonage so we suggest renting by the day for your exploration of the Napa Valley wine country, Muir Woods, Point Reyes, Monterey, etc. For those driving to San Francisco, there is limited street parking. For peace of mind and convenience we recommend that you park at the Performing Arts Parking Garage. infomation and photographs of The Parsonage.